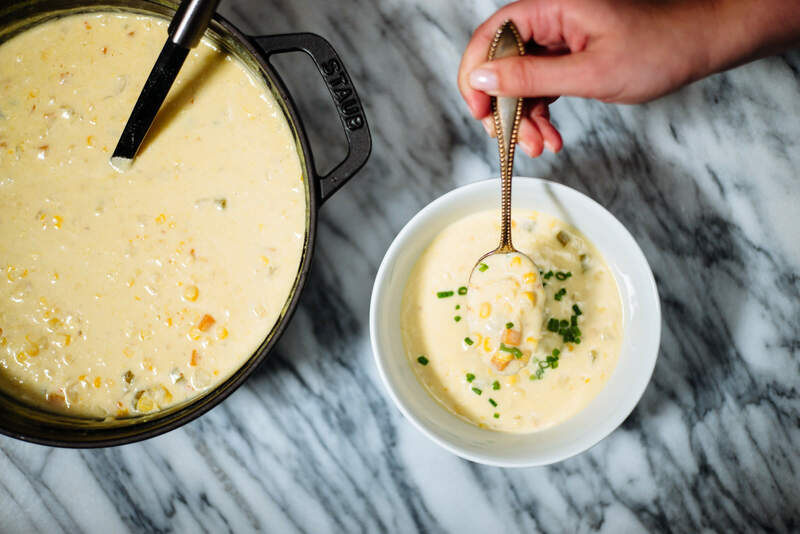 Fourth of July is just around the corner and we’re kicking off a week of recipes that will be perfect for all your cookouts and parties with the best creamed corn recipe we’ve tasted. 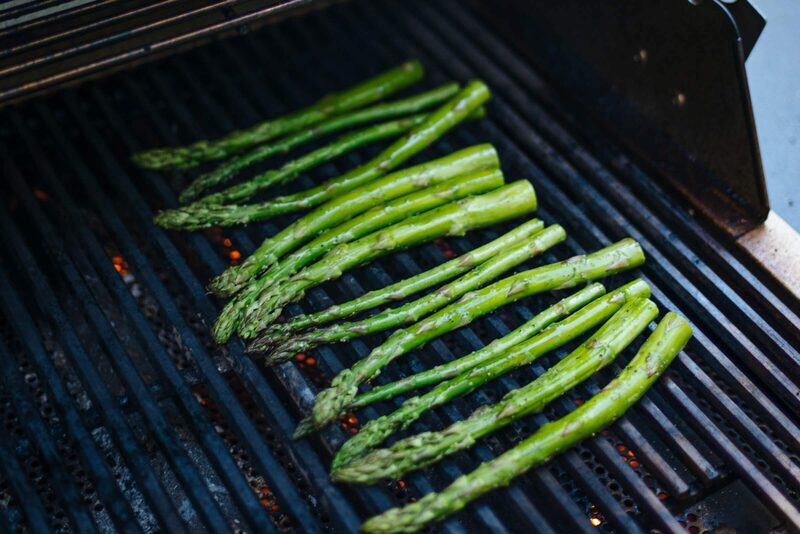 It’s one of our favorite summer side dishes, and is really easy to make. You should start with fresh corn. There are two reasons for this. First, it’s fresh and much more flavorful than canned or frozen. Second, stripping the kernels off the corn yourself allows you to collect the “milk” from the corn cob, which adds even more flavor to the finished dish. We don’t own a lot of kitchen gadgets that are task-specific, but this corn peeler is actually really helpful and makes quick work of getting all the kernels off. Just peel off the corn husk and silk, hold it over a large mixing bowl, and strip off the kernels. With this tool you may need to make two passes over the corn, but you’ll definitely get all the useable corn off the cob. 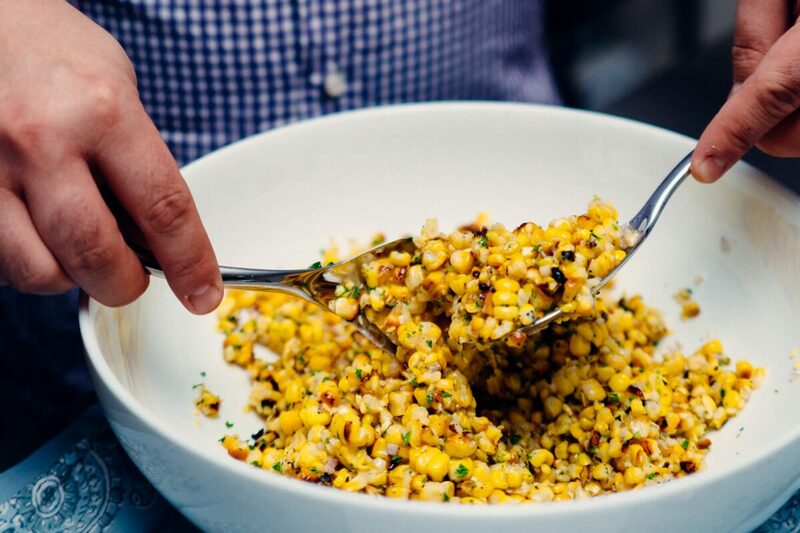 What makes this creamed corn different than most is that it starts with bacon. It’s a known fact that corn and bacon make a fantastic flavor combination (check out this book for tons of ideas on flavor pairings) so we cut a half-slice of thick-cut bacon into small dice and rendered it in a large cast iron skillet to start our creamed corn (non-cast iron options here and here). Next we added butter, shallot, garlic, chili powder, and the corn, with a little flour sprinkled over the top to help thicken the cream sauce. Finally, we stirred in 2 cups of half and half and let it simmer until ready to serve (this pan pictured). If you’re looking for a pan that can go from stove to tabletop, we think this dish would present beautifully in this one and the enamel is easier to keep clean than cast iron. Heat a large skillet over medium heat and add the diced bacon. Cook until the bacon fat is rendered and the bacon begins to brown. Add butter, shallot, and garlic cloves and cook until soft, then add the chili powder and corn and stir. Sprinkle the corn with the flour, then cook for 2-3 minutes, stirring frequently to distribute the flour evenly. Add the half and half, one cup at a time, stirring between additions. Then reduce the heat to medium-low and simmer for 20-25 minutes, until the cream is thickened and you are ready to serve. Make sure to check on the corn frequently and stir often to make sure it's not sticking to the bottom of the pan.